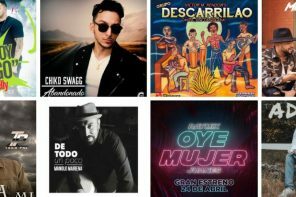 Just one month into 2019 and there’s already plenty of new tropical music to enjoy on the dance floor. Below you’ll read about an album and several new singles that we think your dancing feet will love. Listen, purchase, share, enjoy; do everything to encourage our talented musicians to give us more! 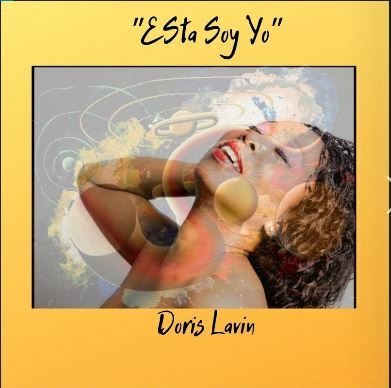 This is her seventh album, but in ESTA SOY YO (This is me) Cuban singer Doris Lavin lets us further into her life, family, and love. This release offers nine songs of her own composition, recorded in Switzerland by Cuban producer Luisito Aballe. 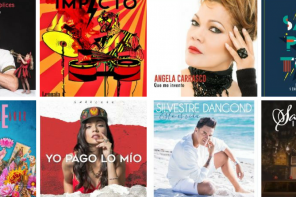 She has a fantastic voice, and the album offers music that is perfect for the dance floor, including salsa, bachata, traditional Cuban music, and some timba. Listen and purchase ESTA SOY YO on Amazon.com. 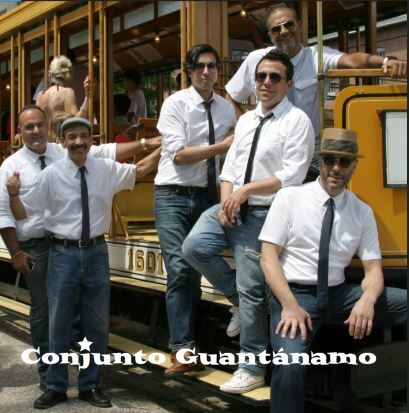 This is the second single out of New York’s Conjunto Guantanamo’s upcoming release MOVIENDO LOS CARACOLES (April 12, 2019). The lyrics portray a man wondering why a mamaita (little mama) won’t accept to dance with him on the dance floor, even though he knows that the ground would shake if she were to accept him. Conjunto Guantanamo was founded by Cuban percussionist Ulises Beato, and the group is already known as a fine performer of Afro-Cuban music. The upcoming release will feature some of the most beautiful Cuban songs ever written, masterfully refreshed by Carlos Mena’s contemporary arrangements at Brooklyn’s Nganga Records. “Mamaita No Quiere” becomes available on all streaming platforms this month. 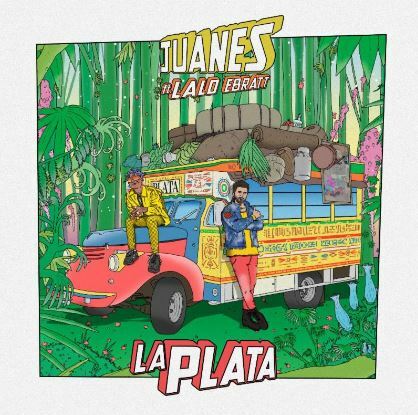 A bit of vallenato, some Urban, and that sound that is definitely Juanes, “La Plata” is a great display of Colombian talent that includes the participation of trap artist Lalo Ebratt. “La Plata” is a humorous song in which Ebratt says that he “tiene de super heroe lo que Juanes tiene de vallenato” [has of super hero what Juanes has of vallenato]. Of course we all know that everything Juanes touches is gold, though. Check out the video of the song, with lyrics, here. We dare you to listen to this song without dancing in your seat. “Sacala a Bailar” (Ask her to dance) is an infectious song in which Peruvian artist Gian Marco talks about asking a beautiful girl to dance. The video is fun, colorful, portraying a group of people dancing on the street; a few to Salsa steps, others to steps of all kinds. 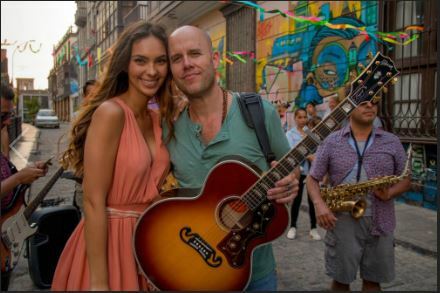 The woman in the video is well-known television personality in Peru – Natalie Vertiz. Enjoy the music and the video here. 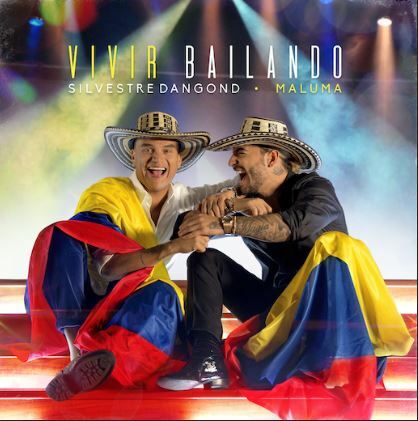 A fusion of vallenato with Urban, “Vivir Bailando” [To Live Dancing] is a first collaboration between Colombian artists Silvestre Dangond and Maluma. We like the song, but we love, (love!) its video, done by the 36 Grados company on film format in Medellin, Colombia, and depicting a love story between a black man and a white woman from youth to forever. It’s absolutely touching and gorgeous. You just have to watch it here. 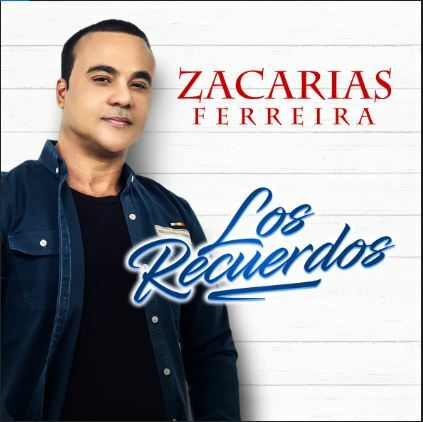 “Los Recuerdos” [The Memories] is the latest bachata song by Dominican Zacarias Ferreira. The video, released just this Jan. 30, was recorded in New York by Colombian company Invictory Films. He’s ready to forget her, says the song, so he puts her picture inside a glass of wine, and throws it out along with his memories. Who’s ready to try that? Purchase the song on Amazon.com. Puerto Rican singer and TV and radio personality Valerie Morales presents her version of Debbie Gibson’s “Lost in Your Eyes” to a Salsa beat and under the title “Perdida” (Lost). The video shows her in jail wearing orange DOC clothes and flirting with an officer that eventually helps her break out of prison himself. We would love not to believe it possible, but… you know. 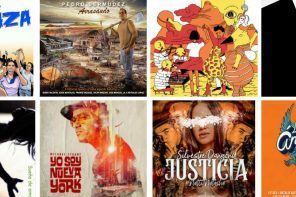 Listen and purchase “Perdida” on Amazon.com. We love these songs and we hope you enjoy them as well. Aren’t we lucky to have so many talented artists?! Please continue to support them by buying and downloading their work. We need constant music in our lives!